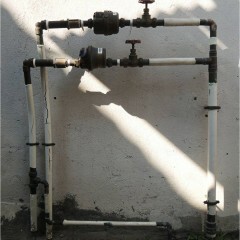 In Pokfulam village, no matter in which places, people can find the traces of water. It is everywhere around the village, including in the hill, ground and underground. Though water is in forms of liquid, it could have different expressions and create different visibilities. Water could sometimes be visible and sometimes be hidden. 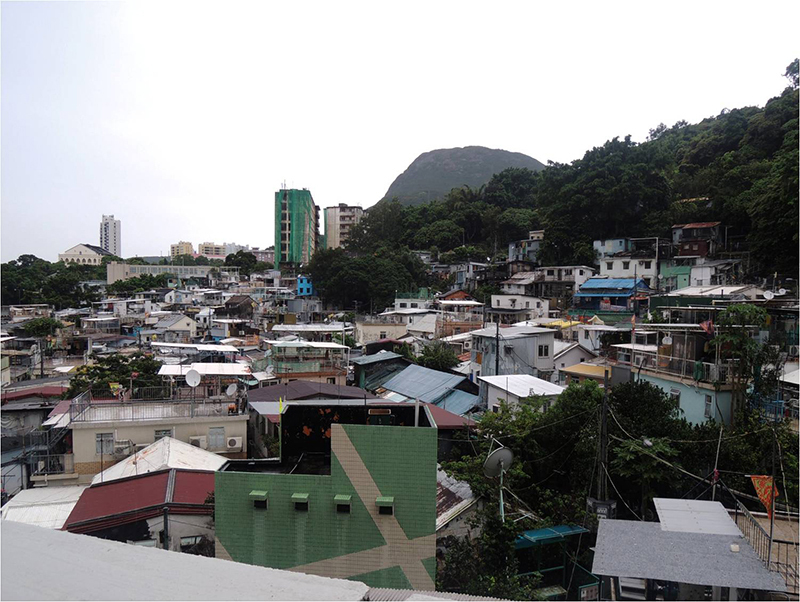 When people are walking around the village, they could see some trenches around the squatters. 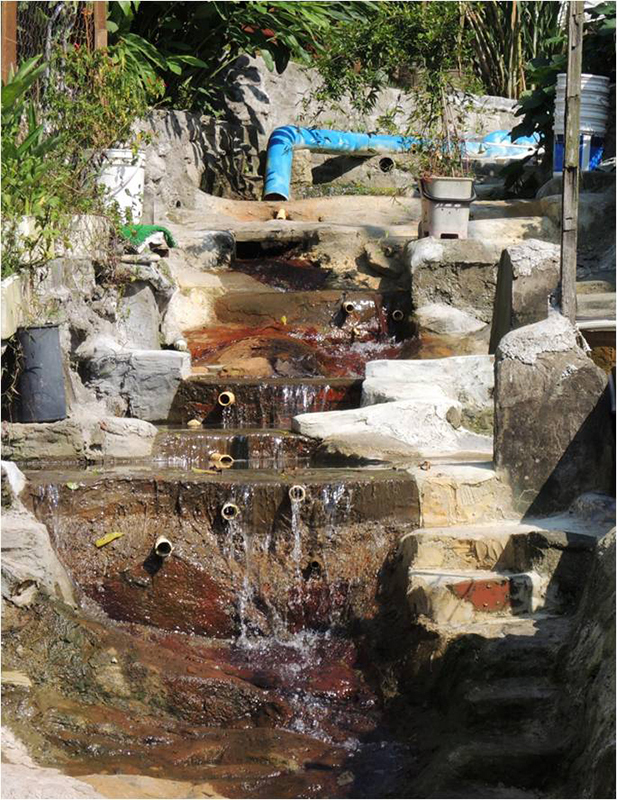 Water flows from the squatter to the trench nearby. Water is also visible when people walk up the hill. 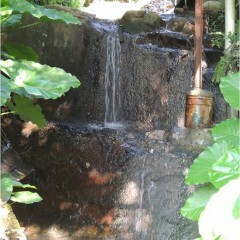 Water flows downward according to the shape of the hill. 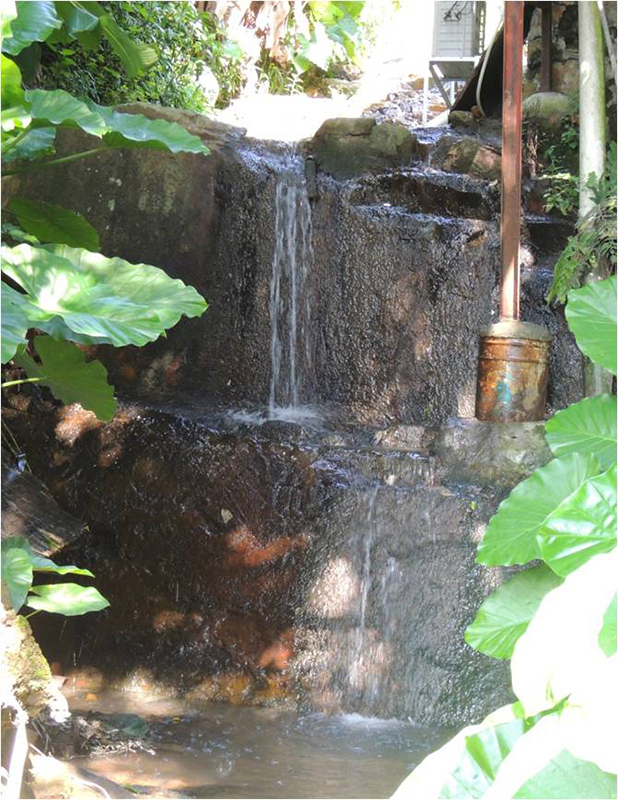 Sometimes, however, water exists in different forms and becomes so called “hidden water”. 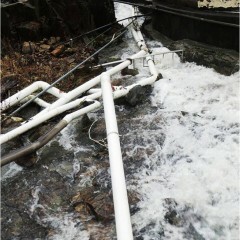 Infrastructures are being used to transport water into different places. Take pipes as an example. 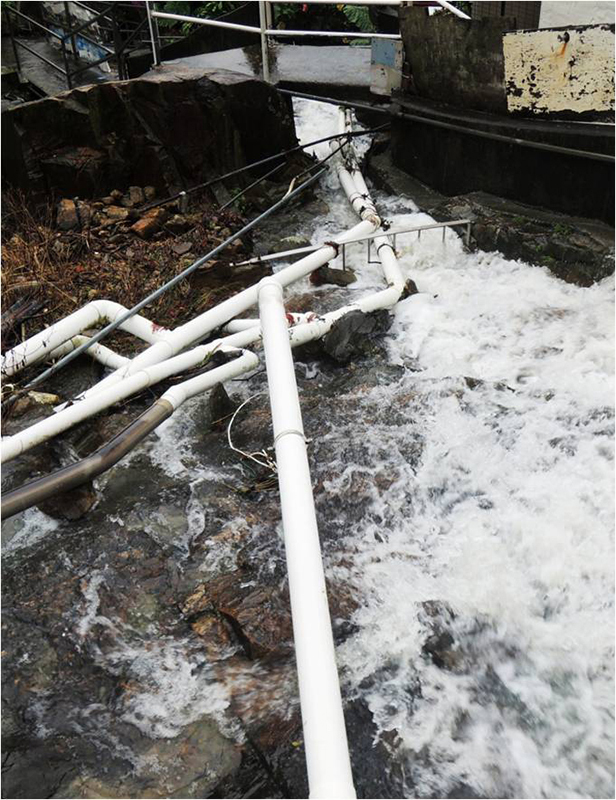 People are not able to see water directly from these infrastructures. Yet, it does not mean that water does not exist. It is interesting to mention that sometimes, there is a mixture between visible and hidden water. 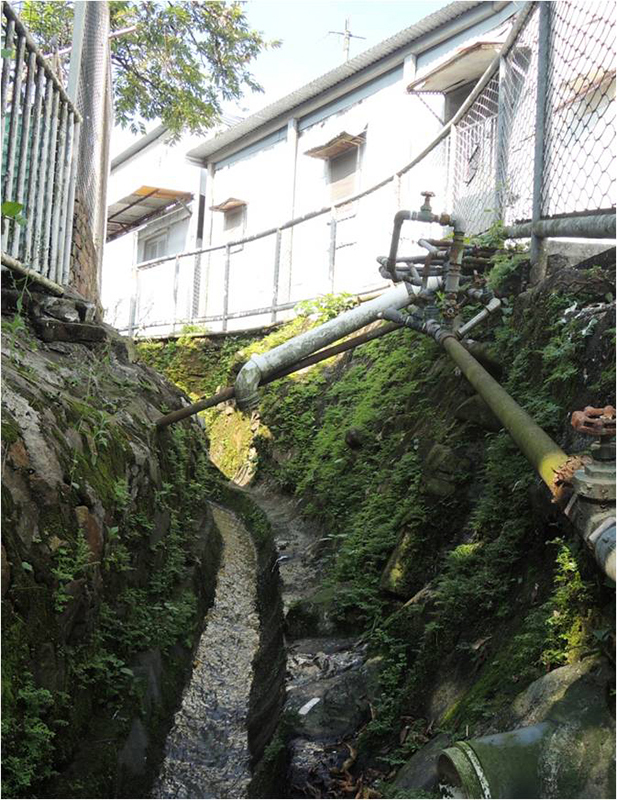 Different kinds of pipes, such as sewage pipes and pipes which supply clean water, and water which comes from the hill exist in the same place. 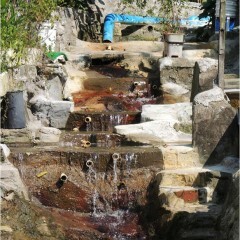 In such place, people would see different expressions of water. 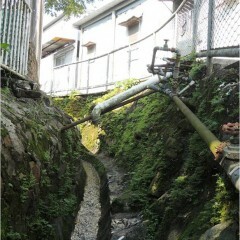 Moreover, in the village, water is dispersed. 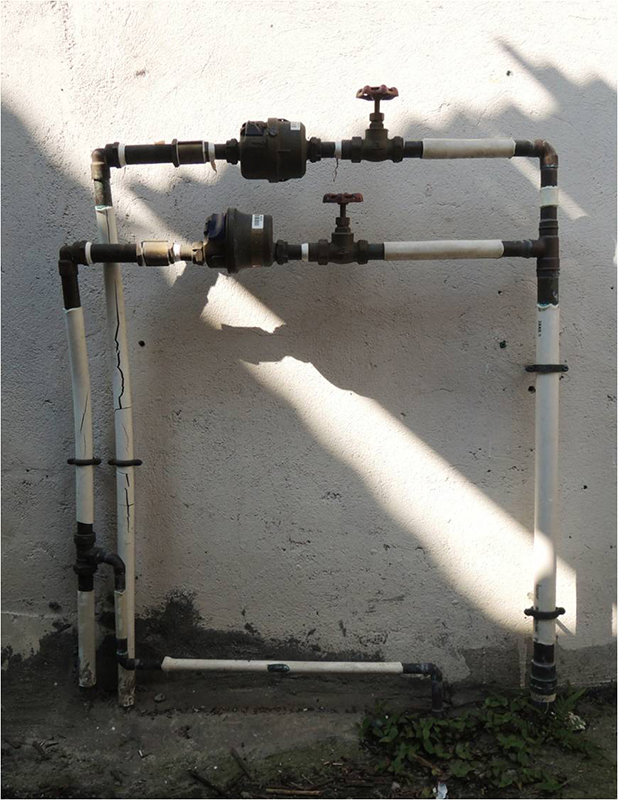 The location of pipes in every squatter is different. This is uniqueness in the village when it is compared to the high-rise building in city. 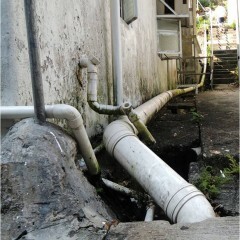 In city, pipes are concentrated at one place. People try hard to hide them in the same area. 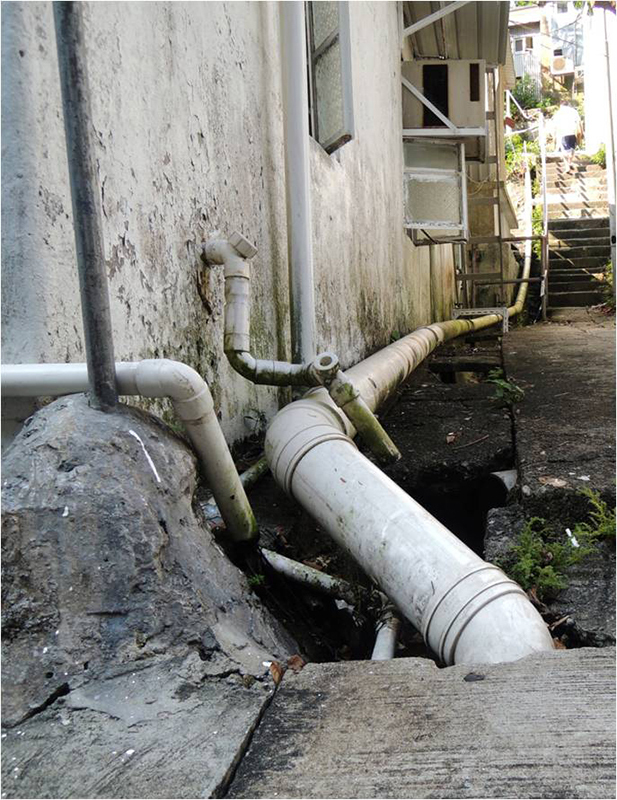 In this village, however, pipes are everywhere.